Abhijit: My name is Abhijit. My career goal is to work with a reputed firm and gain some work experience for better contributions towards an organisation. 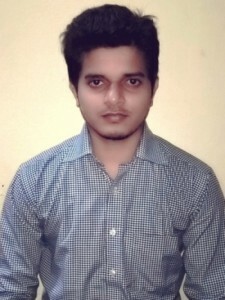 Abhijit: I did face problems with the eligibility criteria as my scores were not that great and I overcame this issue by taking AMCAT at the right moment. 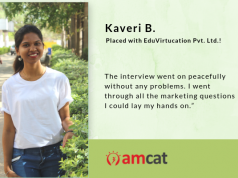 Aspiring Minds: Tell us about your experience post giving the AMCAT test and how AMCAT helped you in getting the job at Good Through Software Solutions Pvt Ltd? Abhijit: I took AMCAT and scored well. AMCAT really helped me to get a job in Good Through Software Solutions Private Limited. 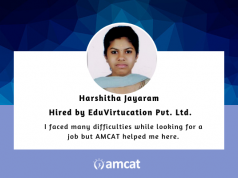 Abhijit: I would suggest other job seekers to go for AMCAT as it will help you know the areas where you should give more emphasis and eventually would help you succeed. 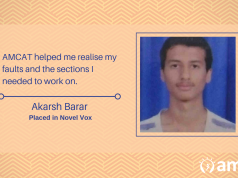 Abhijit: They should keep trying and taking as many exams and interviews as possible, as it will boost up their confidence level and will help them get a worthy job. Good Through Software Solutions Pvt. Ltd.
jobs in Good Through Software Solutions Pvt. Ltd.
Next article7 ways on how to adjust to your new workplace!